Ilya and Alexander Salkind may not be household names, but that’s certainly not for lack of trying. The father-son producer team were influential and ambitious all the way from 1973-1992. In fact, right up to the bitter end, they were innovating in ways that Hollywood didn’t truly appreciate until recently. They are most famous for buying the rights to, and producing, the first three Superman films. But they did much more than that. They started trends that are now being used all over Hollywood without getting any credit. So I’d like to give credit where credit is due and talk about four modern Hollywood trends the Salkinds were doing decades ago. 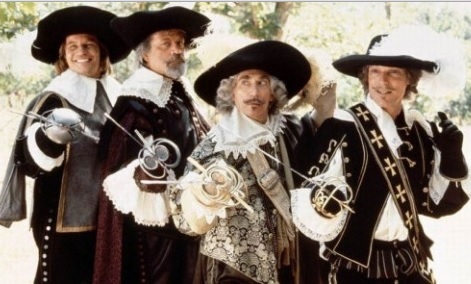 In 1973, a little film called The Three Musketeers debuted, and it was a smashing success. Little did audiences suspect that a sequel was already in the can and ready to debut the following year, this one entitled The Four Musketeers. And it was at least as good as the first. The Salkinds had taken a big gamble with their first major production and decided to shoot two films back to back in the hopes that the first one would be successful enough to warrant a sequel. And their gamble paid off handsomely. They pulled a similar trick with Superman: The Movie and Superman II a few years later, though they weren’t able to entirely finish Superman II before they had to wrap up production on the first film. Back to the Future II and III are often credited with starting the current trends of sequels filmed back to back, such as the Matrix sequels, Lord of the Rings, The Hobbit, Avengers: Infinity War, and all of the YA novels being split into two films. But the Salkinds did it long before anyone else had the nerve to try. It’s mostly Ilya Salkind that deserves the credit here. He fought hard to convince his father that larger-than-life comic book characters belonged on the silver screen. He especially loved Superman because the original superhero is such a deep-rooted part of American pop culture. Quality special effects have never been cheap, and this was the pre-Star Wars 1970s when sci-fi adventure films were out of vogue. So taking a risk on untested special effects and high-caliber actors for seemingly just a farcical kids movie must have seemed ludicrous. But thank goodness Ilya Salkind was persuasive enough to get Alexander on board with the idea of making a Superman movie. Who knows if Tim Burton, Stephen Norrington, Bryan Singer, Sam Raimi, and every other comic book movie director would have been able to get their projects off the ground if it hadn’t been for the classic movie that made people believe a man could fly. After the incredible successes of the first three Superman films (yes, even Superman III turned a profit), the Salkinds did something that most would probably say was extremely foolish, but I say was fairly brilliant. They invested in another superhero film. This time it would be set in the same universe as the Superman films, but focus on a different character: Supergirl. Admittedly, this bold move was borne at least partly out of desperation. Actor Christopher Reeve had sworn off the Superman role after his negative experience working on Superman III, so they needed to either recast the role or make 1984’s Supergirl. They chose to do the latter. Sure, the movie turned out to be laughably bad, but the casting choices were pretty inspired and the flying sequences are all excellent. They certainly spared no expense on this film; they just didn’t learn from their mistakes on Superman III. Marvel is credited as being the first to build a cinematic universe of superheroes coexisting in their own separate films and sometimes teaming up for adventures. But DC and the Salkinds were way ahead of the game. 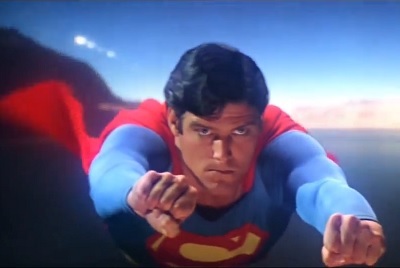 Had Superman III and Supergirl been better films, they could have easily turned into a glorious crossover film. Sadly, the Salkinds’ ambitions outstripped their ability to deliver the goods. Before TV shows like Marvel’s Agents of S.H.I.E.L.D., Gotham, and 2015’s Supergirl, which have obvious ties to blockbuster comic book films, there was Superboy. 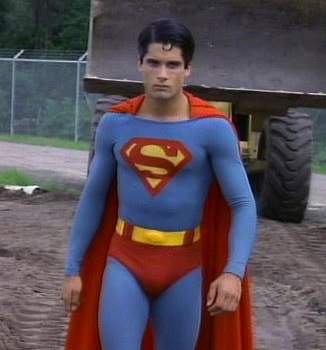 Lasting four seasons from 1989-1992, the show loosely links to the original Superman films, mostly with its costume design and campy tone. It tells the story of a young Clark Kent as he leaves Smallville and tries to find his place in the busy world of Metropolis. No one else had attempted to connect a TV show to a film before. Okay, maybe you could argue that Happy Days connects to American Graffiti, with the presence of Ron Howard in both. But it’s not like George Lucas or Francis Ford Coppola were involved at all in the making of the TV show the way that the Salkinds were directly responsible for the Superboy spinoff. Ilya and Alexander Salkind have slipped into obscurity. 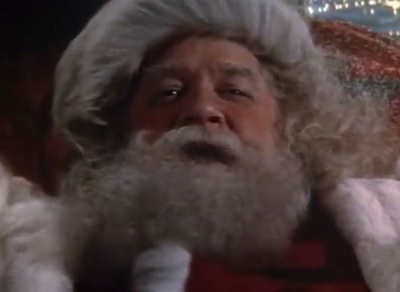 Bombs like 1985’s Santa Claus: The Movie and 1992’s Christopher Columbus: The Discovery ended their careers as Hollywood producers. Alexander Salkind died in 1997, but his son has lived to see others reap the fruits of his labors. Now you know that the Salkinds deserve a lot of credit for setting the stage not just for superhero movies, but for a whole lot more. They were innovators. And, despite all their faults, hopefully their value will go up, up in a way most people hadn’t considered before. This entry was posted in Random Stuff and tagged action movies, alexander salkind, comic books, dc comics, film producers, films, ilya salkind, movie review, movies, science fiction, sequels, supergirl, superman. Bookmark the permalink. Interesting perspective to bring out about these guys, who usually get cast as almost villains in conversations about the Superman movies. I love those movies (well, I guess I love the first one anyway, but can enjoy the others), and appreciated the write-up. Thank you. Yeah, they were definitely foolish in how they treated Richard Donner and other talented people connected with their film projects. But if it hadn’t been for the Salkinds we never would have gotten Superman: The Movie, so if nothing else, I respect them for that.